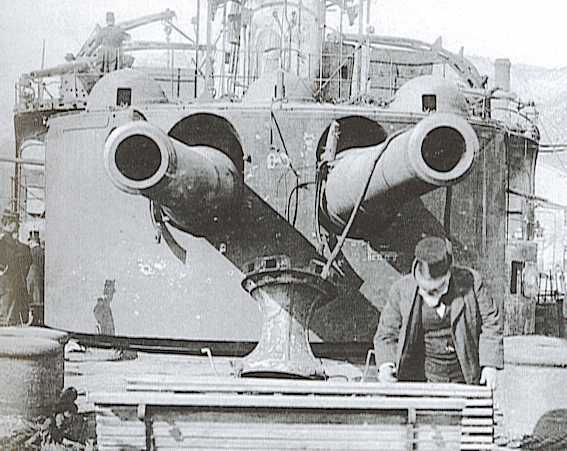 Used to arm French pre-dreadnoughts, these guns were similar in design, and apparently used to test various design concepts such as longer barrel lengths. 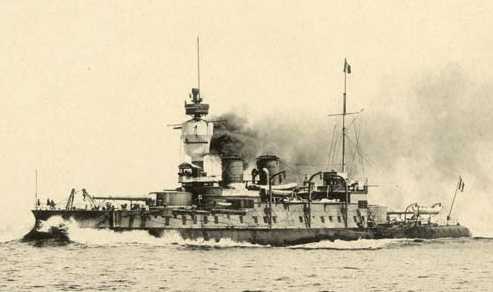 The construction of all Model types was a complicated built-up design, similar to other French heavy guns. Actual bore diameter was 30.50 cm (12.008"). ^HE projectiles were made with either black powder (gunpowder) or Melinite bursters, while AP and SAP were made with Melinite bursters. A novel feature of these mountings was that they used a hydraulic pivot which supported the the rotating structure when it trained. When the proper angle was reached, the mounting was lowered onto a seating ring. ^The two-gun mountings had nearly all of the gun operating machinery inside of the turret itself, with no barbette as such. Instead, a narrow armored tube protected the ammunition hoists. This arrangement differed little in total weight from other 305 mm (12") mountings built by other nations, but did have a penalty in that all the weight was carried higher in the ship, leading to stability problems. After turret on Iéna following a propellant explosion in March 1907. 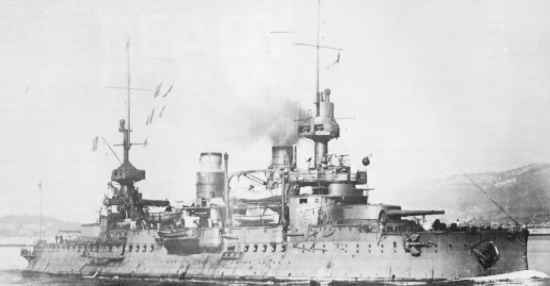 Pre-dreadnought Jaureguiberry with 305 mm/45 guns in single mountings bow and stern. Ministère de la Défense Photograph. 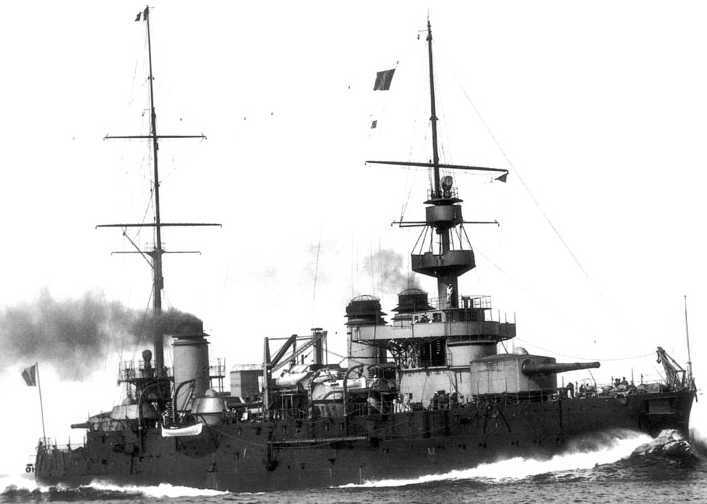 Pre-dreadnought Bouvines. Ministère de la Défense Photograph. 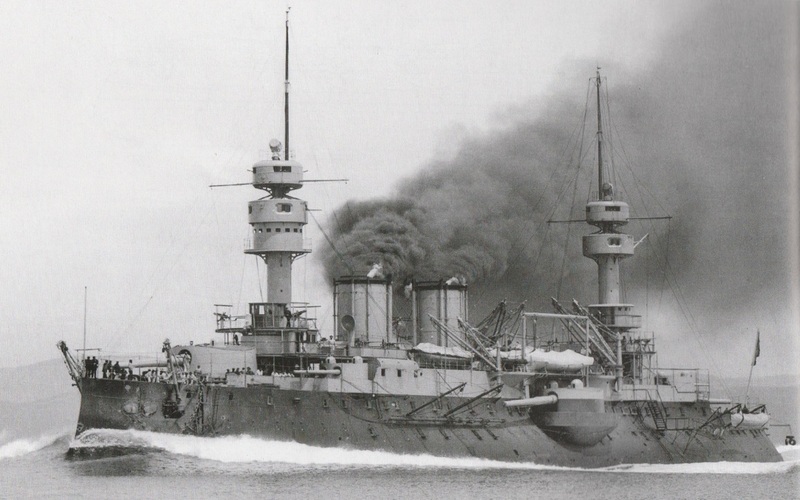 "The Iéna Disaster, 1907" article by Philippe Caresse in "Warship 2007"